Help kids grow! ClearWater Farm, a historic site on Lake Simcoe, is becoming a pace-setting place for learning about fresh food and living in harmony with the environment. 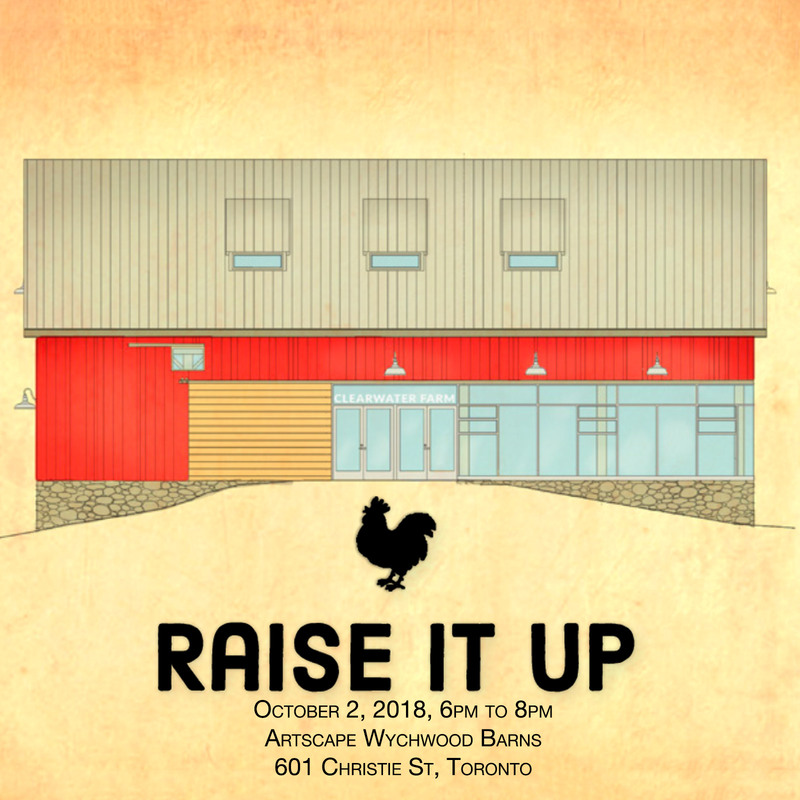 Help us rebuild / raise the barn as an educational centre and community-building space. Join us for a cocktail dinner with country-soul music, farm fresh food stations, top chefs, and lots more fun. To arrange to pay by cheque or for more details, please contact Jennifer Harrison at 416-520-7471 or jennifer@ontariowatercentre.ca. Sorry, I’m unable to attend this event. But I do want to support the project. At Artscape Wychwood Barns there is no on-site parking. Street parking is on Christie Street and several Green P lots are located nearby on St. Clair Avenue West. As a former streetcar repair facility, Wychwood Barns encourages patrons to take public transit. Please let us know if you are interested in round trip bus from ClearWater Farm to the event by contacting Jennifer Harrison at 416-520-7471 or Jennifer@ontariowatercentre.ca. We would arrange transportation at cost.